Virgin olive oils are the oils obtained from the fruit of the olive tree (Olea europaea L. ) solely by mechanical or other physical means under conditions, particularly thermal conditions, that do not lead to alterations in the oil, and which have not undergone any treatment other than washing, decantation, centrifugation and filtration. Mediterranean climate and soil conditions at the foothills of the Langeberg Mountains in the Breede River Valley in the Western Cape of South Africa and blending of the best cultivars, gentle hand harvesting at optimal ripeness and careful cold extraction within 24 hours after harvest, ensure the unique, fruity characteristics of Mardouw Olive Estate’s premium Extra Virgin Olive Oil. This delicious oil is excellent for dressing salads and a healthy alternative to other oils in the kitchen. 2018 | Mardouw’s Premium XXV Intense EVOO 2018 was included in the ten best extra virgin olive oils in South Africa, at the 2018 Absa Top 10. 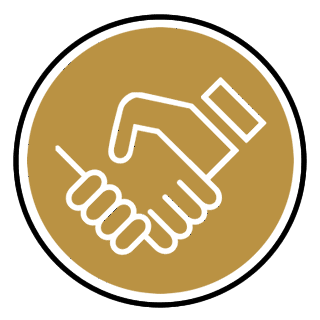 2018 | Double Gold at the SA Olive Awards 2018: Mardouw’s 2018 Premium Extra Virgin Olive Oil was awarded Gold in the category “Medium”, and Mardouw’s Premium XXV Intense EVOO 2018 was awarded Gold in the category “Intense”. 2017 | Mardouw’s Premium XXV Intense EVOO 2017 was included in the ten best extra virgin olive oils in South Africa, at the 2017 Absa Top 10. 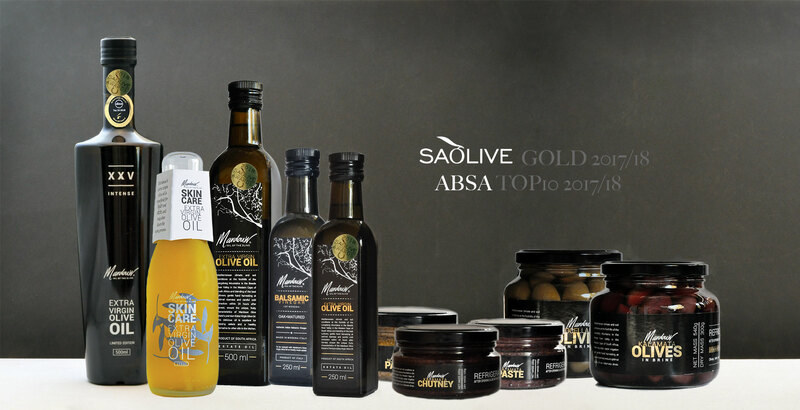 2017 | Double Gold at the SA Olive Awards 2017: Mardouw’s 2017 Extra Virgin Olive Oil was awarded Gold in the category “Medium”, and Mardouw’s Premium XXV Intense EVOO 2017 was awarded Gold in the category “Intense”. 2016 | Mardouw’s 2016 Extra Virgin Olive Oil was awarded Silver in the category “Medium” at the annual SA Olive Awards. 2015 | Mardouw’s 2015 Extra Virgin Olive Oil was awarded Silver at the annual SA Olive Awards. 2014 | Mardouw’s 2014 Extra Virgin Olive Oil was awarded Silver at the annual SA Olive Awards. The oil is completely natural and unadulterated, with no additives, preservatives, colouring or flavouring added. The oil is free of any defects – not rancid, winey, musty, fusty etc. The oil has gone through a chemical analysis.